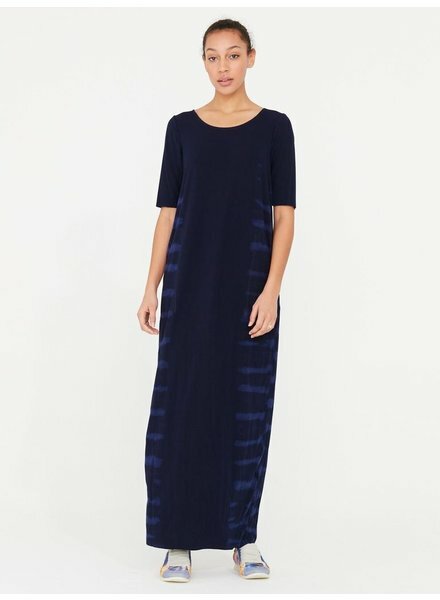 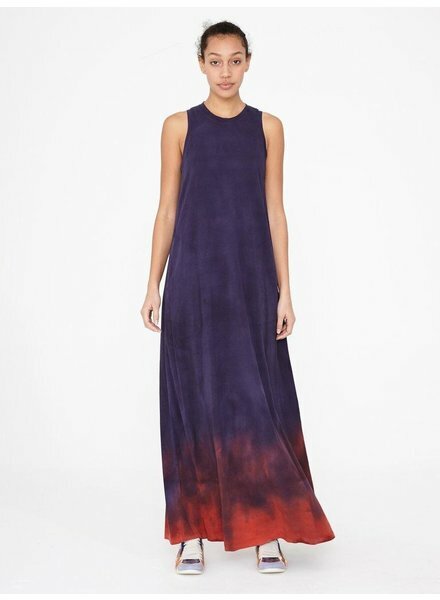 This Raquel Allegra Pleated Medley Dress has a blue crinkled tie-dye design and made with cotton. 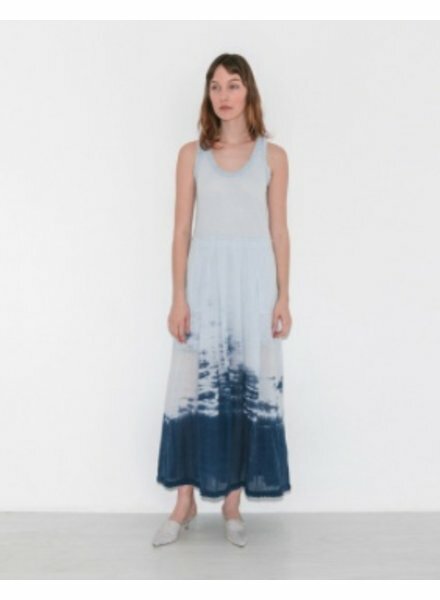 This makes the skirt very flowy and light. 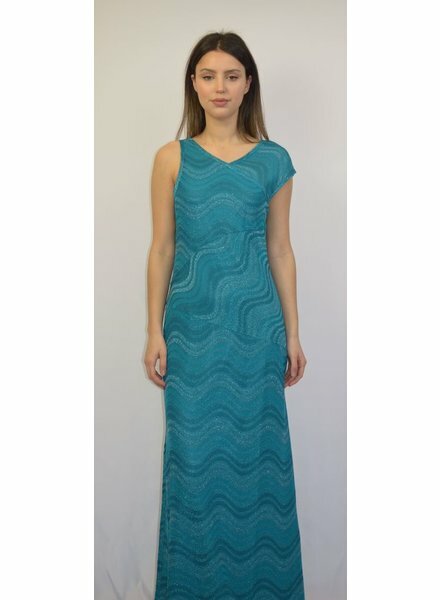 This is perfect for that beach vacation you have been planning.